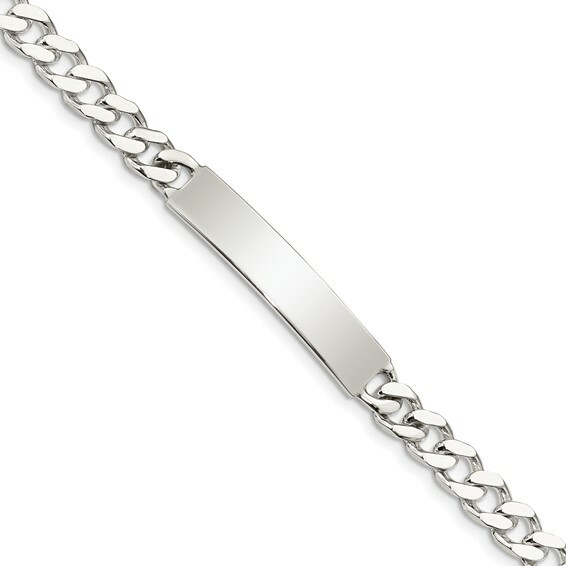 Sterling silver 7in ID bracelet has curb links. Link width: 1/4in. Engravable plate size: 1 1/4in x 1/4in. Weight: 15.63 grams. Lobster clasp. Import.